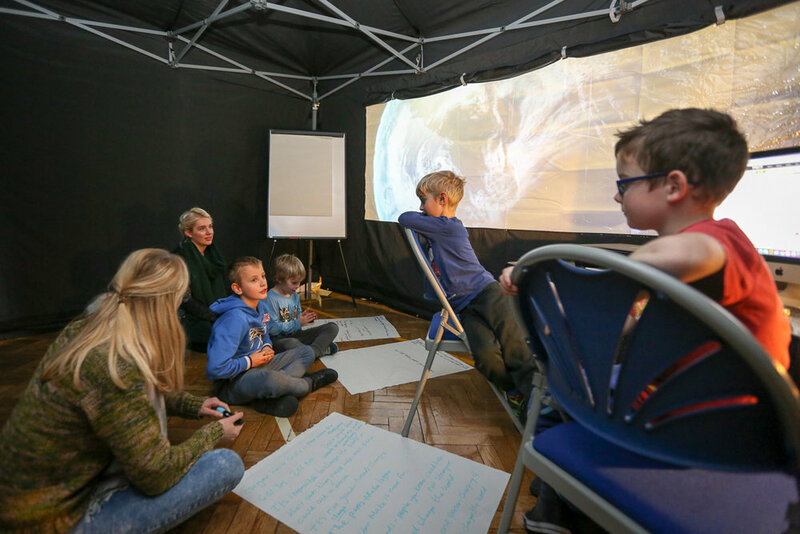 Over the October half-term we took over Bevendean Primary School in a filmmaking extravaganza exploring life’s big questions as part of Hijack Children's Festival. 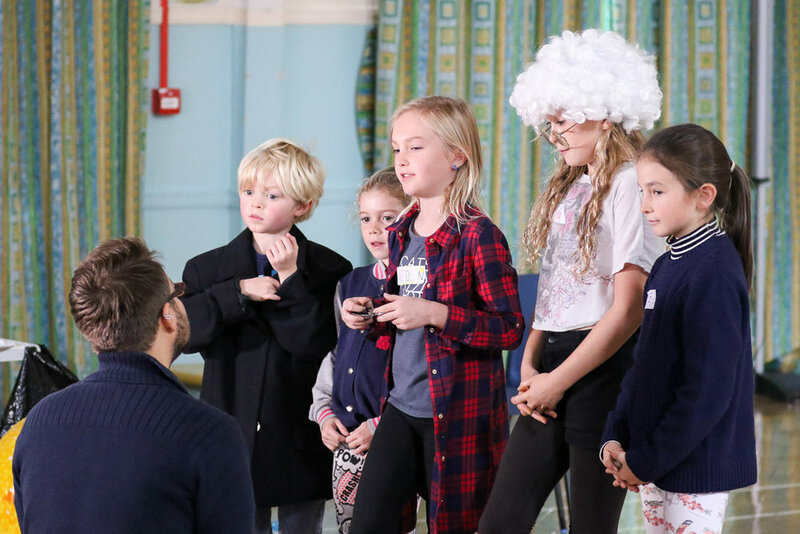 Esther from Quiet Down There joined the team of facilitators supporting over 50 children to think on their feet, research, storyboard, script and shoot 21 films in a fast-paced experiment in self-organised learning. Now the whirlwind is over, the films have had their premiere to friends and family and the last bits of popcorn have been swept up, Esther reflects on the journey into the unknown which was: ‘What’s so good about the world anyway?’ Intrigued? Read on. Inspired by Sugata Mitra’s concept of the Self Organised Learning Environment (SOLE) which proposes that by altering the space for learning, providing some materials and leaving the kids to it, they will form a community and take charge of their learning. In 1999, Sugata Mitra’s “Hole in the Wall” social learning experiment saw a computer screen and touchpad set into a brick wall in a slum village in New Delhi. The public intervention set the scene for SOLEs. The “Hole in the Wall” was the talk of the village. Children with no prior experience huddled around the screen and learnt how to use the computer on their own without a teacher. They then showed their families and the community became fluent users of the technology. This social learning model relies upon supportive facilitation to encourage enquiry based learning and is built fundamentally around the concept of learning as a participatory experience and series of exchanges between people. Environmental conditions also play a pivotal part in setting the cogs in motion. Taking the model of the SOLE as a starting point, WSGATWA (What's so good about the world anyway?) put creative play into the equation and some big life questions to see whether children could bring new ways of understanding the world. We put the idea to the test that, when left to their own devices, children can make sense of complex ideas and give refreshing insight into the questions that leave most grown humans scratching their heads or running around in circles (at the best of times!). Can one person change the world? What makes you who you are? Is everything connected? What is kindness? 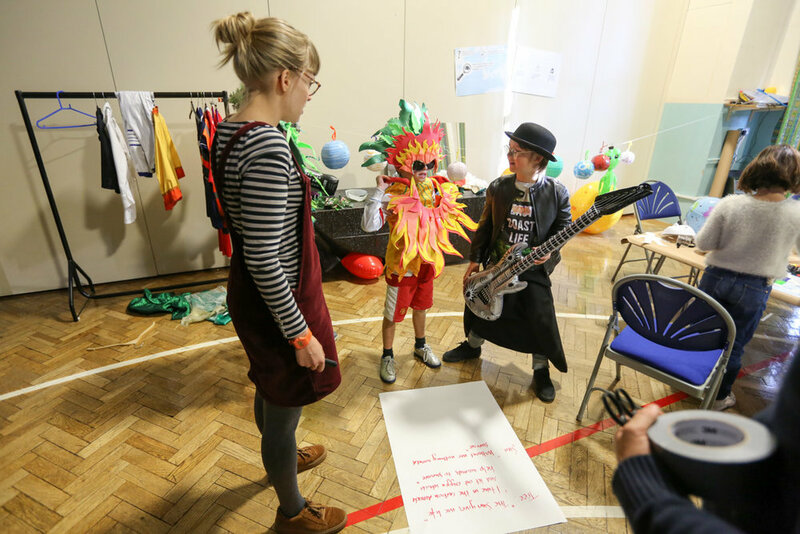 So with Bevendean Primary’s school hall at our disposal, we set out to dress a learning environment in the best way a bunch of facilitators from the creative arts know. Fancy dress, an assortment of props and art material. Lots of art materials. Working with lead artist David Parker, a filmmaker and producer, we decked the hall with theatre blacks, dividing the space into three zones of learning, an ideas generation space, a making space and a studio complete with backdrop, lights and a camera for shooting the films that would bring to life the answers to the big questions. It's important to note that each stage of the experience was left as a surprise. Children knew they were going to make a film, but until they walked through a set of curtains or turned a corner into a new zone of the school hall, they did not know what lay before them. To add to the air of excitement and anticipation, each stage was timed. This gave a sense of urgency to harness ideas as they sparked and create the magic of being in the moment. In the first stage, small groups of children entered a darkened space and were met with a window onto a world spinning in outer space. As their eyes adjusted, they noticed a desk before them with a computer and printer. No sooner had they taken in their surrounds when the printer started to spit out a question. With a little encouragement from the facilitators, the children began to share their thoughts. What is love? “Well it’s like 70 or 100 ‘likes’ and feels like cuddling my favourite toy.” Where do thoughts come from? “You can get ideas from a computer but it can’t think for itself. A computer can't organise its own Birthday party.” After some open-ended exploration, note taking and a few Google searches later, the 15 minutes allocated to this stage were up! Armed with their research materials and discussion notes, the children left through a curtain and stepped into the next zone. With storyboards, costumes, scenery and props at the ready, children crossed into the final stage. This was a film studio equipped with camera, lights, backdrop and directors chairs. With only 15 minutes to go, in the spirit of improvisation we took a lead from Miles Davis, “the first take is the best!” and shot the films in a linear fashion with scenes in chronological order to save time on editing. The feedback from the children was resoundingly positive. They wanted to do it again and bring others with them on the journey. And it was a very speedy journey indeed! I think this added to the sense of urgency for putting across a raw idea and way of thinking - a process which is not always encouraged in children. The film studio placed the children in the driving seat. They called the shots and gave orders to the facilitators who worked for them as their crew. This reversal of traditional hierarchies and handing over of responsibility was empowering. On day five, all the films were screened to friends and families at The Bevy, the UK’s first community-owned estate pub, a short walk from the school. 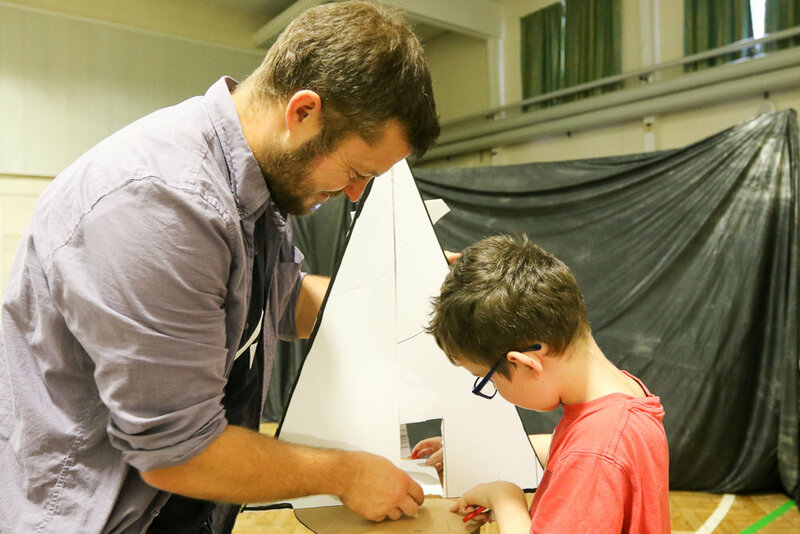 Children from across Brighton & Hove took part with free places given to Bevendean children. Increasing movement though the city is key in developing a diverse city, a sense of place and collective understanding. Children exchanged cultural ideas, family traditions, individual thought processes and encouraged divergent thinking in each other. Now, I guess you're wondering where you can see the films? Make yourself a cuppa, get a comfy seat and remind yourself what's so good about the world anyway?